I’ve been an avid user of Bloglovin for quite a while know, I love the fact that I have everything in one place and its a great way of finding new blogs and interesting articles. Most of these ones are of course recipe articles. 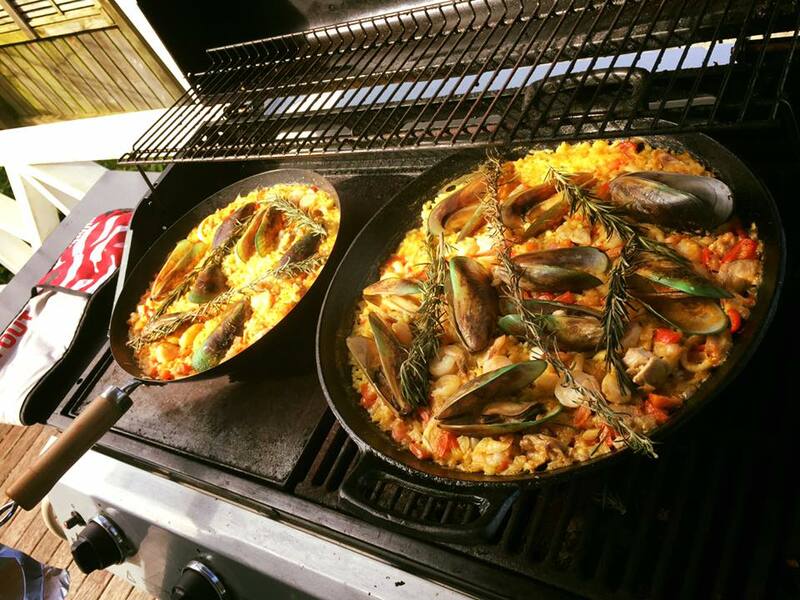 I though I’d give it a go, so when we were invited to Mr.F and Miss T house for a fathers day epic Spanish Paella, I though I’d stay on theme and make an epic dessert. Unfortunately I ran out of time and couldn’t follow the recipe, so I had to resort to the old but good ‘cake in a box’ haha I will link the original blog post with the recipe for the ones that can actually try the recipe and if you do I’d love to see how it turned out (please link it below) but for know I’ll just share how to ‘epic’ a chocolate cake. While your chocolate sponge is cooling down, wash and chop some strawberries and crumble some oreos in a bowl. Then in a separate bowl, whip up some double cream with sugar until ‘soft peaks’ are formed or your cream is ready. 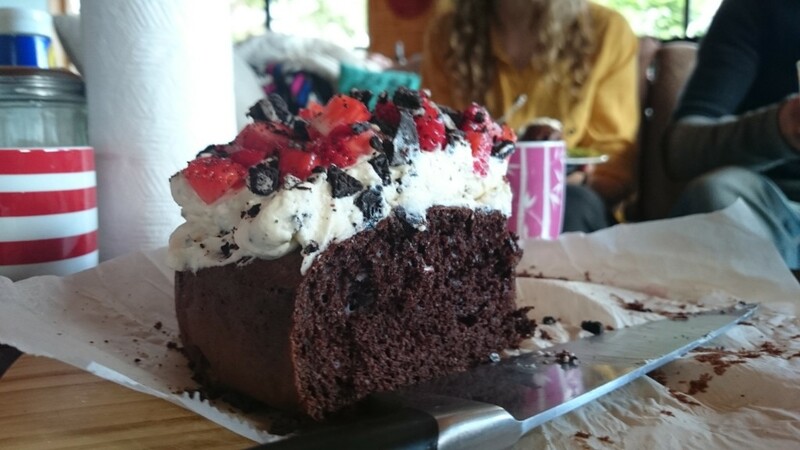 Fold in a bit of oreo crumbles and, with a spatula or big spoon, spread the whipped cream on the top of the sponge. The amount you use is up to you but I’d though a big, fluffy top would make for an epic reveal. 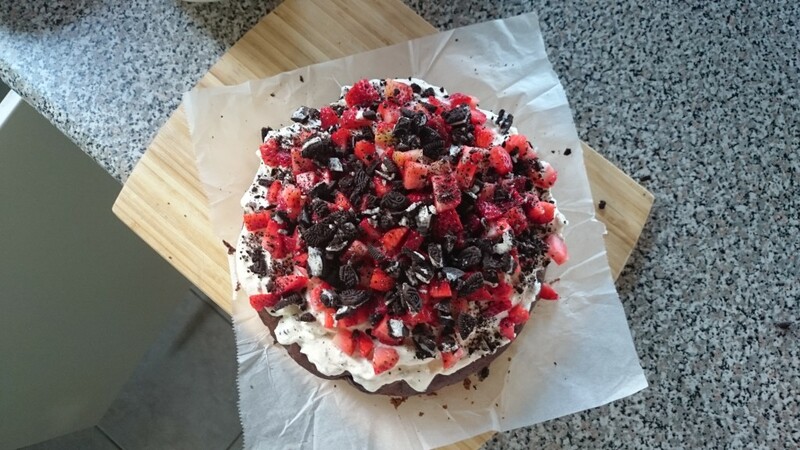 And finally top the cake with the rest of the oreo crumbles and chopped strawberries. Now, doesn’t that look amazing? 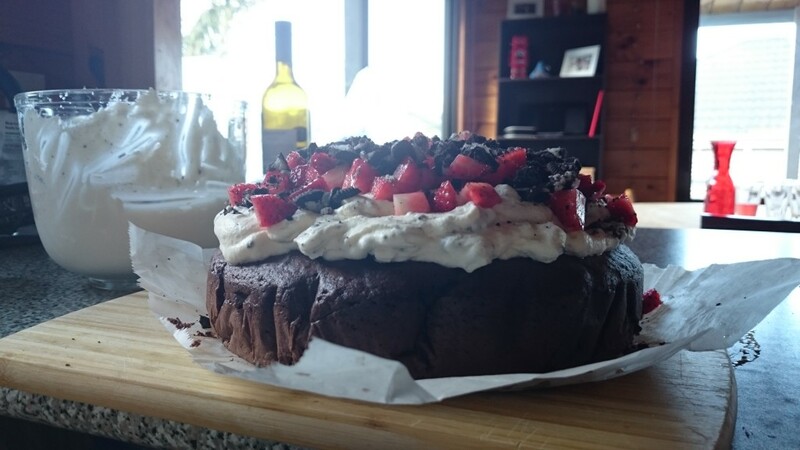 and it’s quite easy to make, you could mix things up and slice the cake through the middle and fill it with some cream and strawberries or with some caramel. You could change the chocolate sponge mix and change it for a brownie mix for a more rich flavour…the options are endless! Anyway, I hope you’ve enjoyed this little tip, for the original vegan chocolate cake and recipe click here, and if you try it out, please link it below! A bit of shameless self promotion here, since we’ve talked about Bloglovin at the beginning of the post. If you don’t want to miss any of our posts remember to follow us at Bloglovin by clicking HERE I’d love if you do that!